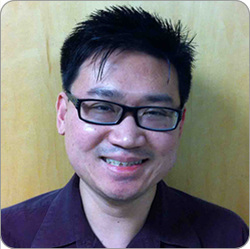 Dr. Paul Lim joined MonolithIC 3D Inc. in early 2010. His current work at MonolithIC 3D Inc. involves device simulation of novel 3D structures. Dr. Lim received his Ph.D. from Stanford University in 2009, and his graduate research was in the areas of 1/f noise, reliability of advanced MOSFETs, and device simulation. He is the recipient of the 2009 Hugh Hildreth Skilling Award for Outstanding Teaching at the Stanford University Electrical Engineering Department. From 1998 to 2004 Dr. Lim worked at National Semiconductor Corporation as a device reliability engineer in the Advanced Process and Technology Research and Development group.